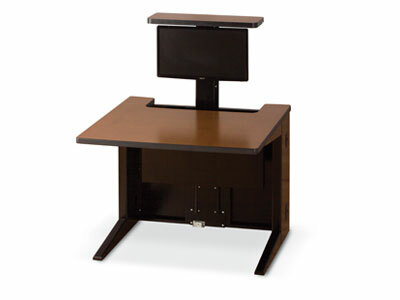 Table products for Education from Invincible Furniture. 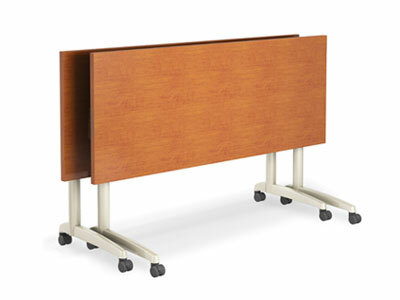 One of our best selling training tables, our IZ series feature a folding, lockable modesty panel wherein you can insert a sheet of laminate to match with or contrast to the laminate on the worksurface. Features sleek, modern legs and feet. Power channel standard, casters optional. Use by itself or gang with other IZ tables! Access tables feature a locking access door for maximum security within which is contained the power and wire management channels. Designed for computer / learning lab (teaching) applications. 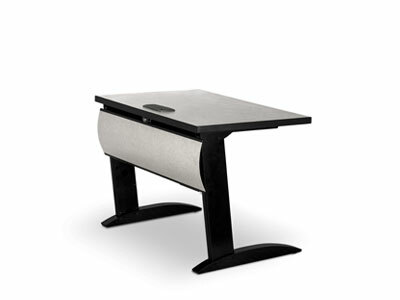 Liberty tables feature rear opening top that exposes wire / cable management channel that is 6" deep and 4" wide. Designed for computer / learning lab (teaching) applications. Access tables available with optional “Flip it” unit. Consult Factory. 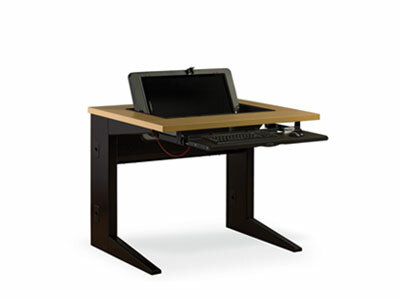 Uniquely designed training room table that has a retractable spring-loaded mechanism which raises and lowers the computer flat screen monitor. When not in use the mechanism is flush with the worksurface. When needed the mechanism raises the flat screen up with the simple push of a finger. ACCOMODATE USER NEEDS AND SPACE REQUIREMENTS. When flip/nest capabilities are needed, Invincible Ironworks Twist! Training Tables make mobility effortless. With the flexibility to rearrange and store tables with ease, the flip/nest capabilities provide the ideal environment that encourages people to collaborate and learn! Cutting edge stylish leg and foot makes Ironworks tables the choice for Designers and Savvy end-users alike! Unique leg design with pin adjustable leg allows you to position leg at a staggered angle for nesting front to back OR a traditional configuration with the legs perpendicular to the top for nesting side to side. Our Fundamentals (rectangular C and T leg) and Freedom (round tubular leg) tables are our entry–level, workhorse training room tables that you can configure any way you want to meet your needs. Available in a variety of sizes and options (consult Factory). 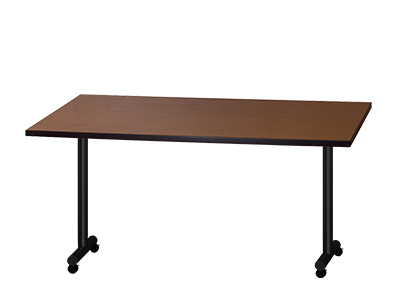 Also available Fundamentals Technology Station trapezoidal tables for media center / library applications. Our Dura flip/nest tables feature the rugged, Dura styled leg and the superior quality dual cable, single pull flip mechanism. Available in 20", 24", 30", and 36" depths and 30", 36", 42", 48", 54", 60", 66" and 72" widths. Tables over 60" wide come standard with support beam beneath worksurface.